Payment - Harald's Small Engine, Inc.
secure, and takes no time at all. When you make a payment, no matter how you choose to pay, we don't charge you a transaction fee. It’s that simple. The recipient pays a small fee to securely handle your payment. If an item doesn’t arrive, or doesn’t match the seller’s description, our Purchase Protection will reimburse you for the full purchase price of the item plus shipping costs on eligible purchases. Your purchases are also monitored 24 hours a day, seven days a week to help protect you. Purchase Protection does not cover certain types of purchases (like vehicles or services) or items that you purchase in person. You should be able to pay on your terms. With that in mind, we let you link your bank account, debit, and credit cards to your PayPal account (and still earn your reward points). 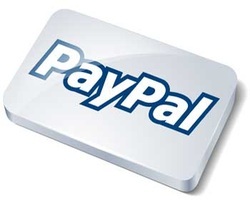 That way, you never have to worry about keeping money in your PayPal account.